What are you favorite shows on streaming services like Netflix, Hulu, or Amazon? Recently, Newsweek revealed the top streaming shows of 2016. Though all three streaming platforms are known for not unveiling their viewing numbers, the independent company Symphony Advanced Media has compiled the top 25 series by tracking “engagement across streaming platforms via television, mobile phones, tablets and computers” over the past 12 months. 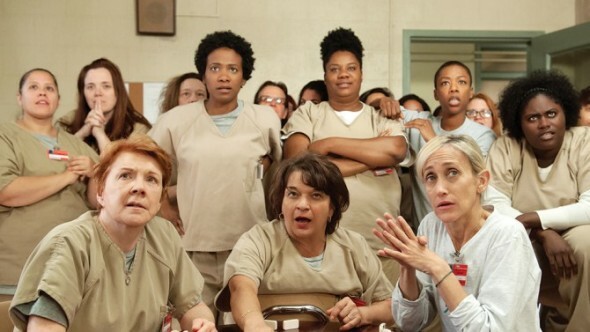 The results single out Orange is the New Black as the top streaming show of the year. Season four of the prison dramedy premiered on June 17th, 2016 and brought in 23 million viewers within the first 35 days of release. Other Netflix series, like Stranger Things, Fuller House, Marvel’s Luke Cage, and Marvel’s Daredevil, round out the top five. Netflix didn’t completely dominate the ratings, however. Hulu‘s JFK time-travel drama 11.22.63 came in ninth place with 5.3 million viewers and Amazon‘s popular dramas Goliath and Bosch rounded out the list at 24th and 25th place. What do you think? Which streaming platforms do you subscribe to? Which original series do you watch? More about: Amazon TV shows: canceled or renewed?, Fuller House, Fuller House: canceled or renewed?, Hulu TV shows: canceled or renewed?, Netflix TV shows: canceled or renewed?, Orange Is the New Black, Orange Is the New Black: canceled or renewed?, Stranger Things, Stranger Things: canceled or renewed?